On a stifling day in July, we were back in France again, in Menton, and I had a bit of climbing to do. The same feelings returned-apprehension and uncertainty about cycling along unknown roads through unpredictable weather. 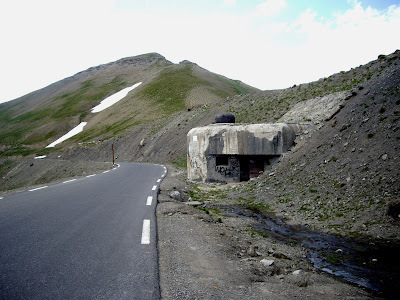 Nevertheless, these were more than countered by the sheer excitement at the thought of pedalling my way along once ancient routes, surrounded by 600 kilometres of hard granite rock called Le Grand Massif. The view north up Menton’s D2566 was ominous and stunning at the same time. It was a hot Saturday morning down at sea level, the warm air trapped by the giant fortress in front of me. Today was to be my first day in the Alps and I remembered my brief conversation with the cyclist I met the last time I was here. There was something about my 34/29 gearing he was skeptical about, or perhaps it was more about the body that was going to use it. I consoled myself with the fact that I’d climbed some pretty massive mountains and cols already, and covered some long distances. Now I just had to combine the two. I’ve been fascinated by the Alps, ever since my grandfather gave me one of the first books I ever remember reading. I distinctly recall its red hardback cover and title. It was called, fairly unimaginatively, in hindsight, The World Book of Heroes. One such hero, whom I’ve never forgotten, is the great Carthaginian General, Hannibal Barca, who, in 218 BC, along with his near-50,000 strong army and 37 war elephants, famously trekked from New Carthage, on the Spanish Mediterranean coast, to Turino, Italy. Withstanding the extremities of altitude mixed with the freezing temperatures of late autumn, it was a truly remarkable feat of persistence, endurance and determination. Rather than encounter a Roman army of unknown size, Hannibal chose to march north up the Rhône River valley towards what is now Grenoble. While his exact route to the northeast is a source of great debate, some historians suggest that he took a mountain pass somewhere near the Col de Montgenèvre, which lies south of the Mont Blanc Massif. His Carthaginian army experienced snowstorms, landslides and attacks from hostile tribes in the two and a-bit weeks it took to complete the journey. The cost was a little over one-third of Hannibal’s army, but it didn’t prevent him from winning his first victory over the Romans just a few weeks later. Besides hot Sunday afternoons, where imbibing drivers forget they have a vehicle to return to, the only time I feel a little anxious at home on Arthurs Seat is the time between Boxing Day and the first two weeks of January. 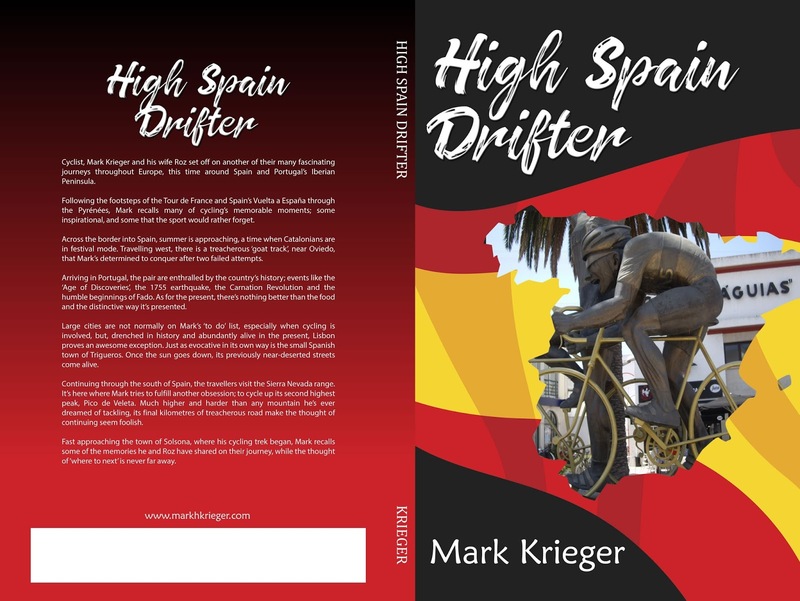 That’s when many aspiring Formula 1 drivers come roaring up and down the mountain as though competing for pole position in the Melbourne Grand Prix. It’s mayhem. What Arthurs becomes during these three weeks, so it seems the Col de Turini is most weekend afternoons. The climb winds, at an average gradient of 5.2% along stretches of perfectly zigzagging road. 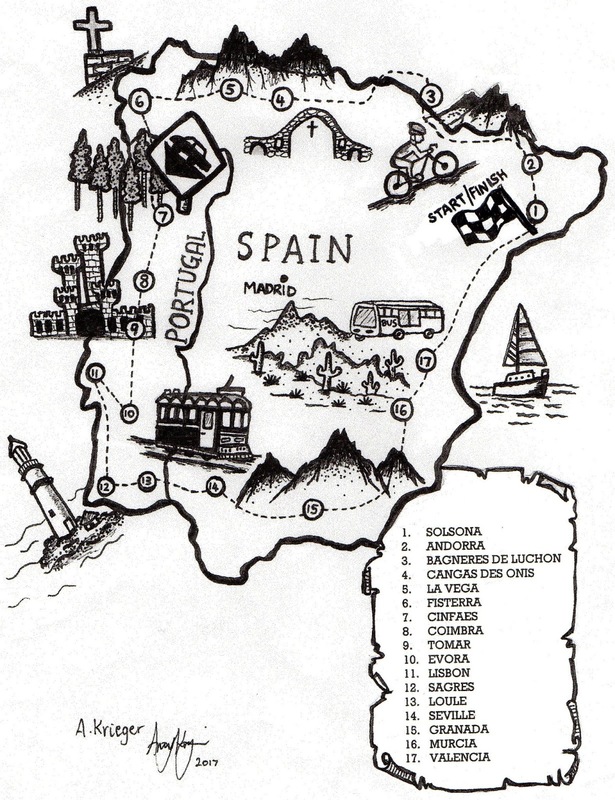 It is an absolute mecca for cyclists, and evidently for car enthusiasts as well. But invariably, the two don’t mix. Little more than a few minutes into the climb, the stillness and serenity were broken by the sound of reverberating car engines below me, about 20 of them. They looked an ominous sight, each one hot on the heels of the one in front. You could hear each vehicle’s acceleration on every straight, followed by the synchronised screech of brakes as it hit the corner. I’d avoided trucks, traffic jams, motorbikes, mopeds, cattle, barricades, just about everything you could imagine. The last thing I expected was a speedway full of petrol-heads. There was nowhere to hide and little I could do other than simply swallow my pride, get off my bike, stand as close to the side of the road as was humanly possible, and cringe as each one sped past. Gone in 60 seconds, the cars were soon nothing more than a bad memory. I was again riding along a tranquil road. The lacets had disappeared, and with them the severity of the gradient. 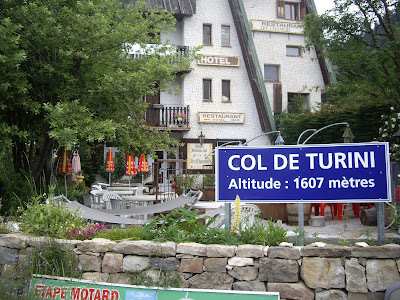 Soon I was standing outside our evening’s accommodation at the Hotel les Chamois, right at the very summit of the Col de Turini. Like the genie out of the bottle it literally appeared out of thin air. Before reaching the start of the climb up the Cime de la Bonette, you travel through the most impressive of valleys, the Vallée de la Tinée, which has breathtaking views of soaring peaks on either side of the road. 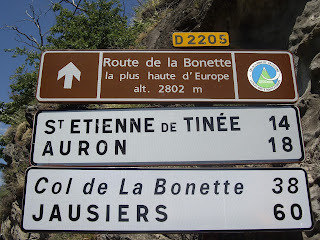 I met Roz at the pretty little town of Saint-Étienne-de-Tinée, where she persuaded me into a relaxing lunch of beer and pizza before starting the climb up Bonette. Too much fine food and alcohol has a way of seducing you into feeling you can conquer just about anything. In reality, it’s great preparation for sleeping rather than doing anything physical, such as riding a bike up almost 26 kilometres of mountain with an above 6% average gradient. By the time I got up from the table, the only thing keeping me awake was my indigestion—I was full of more gas than a helium balloon. I only had to pick up the bike and pedal the first 100 metres up a hill through town to know that I was in for a horrible couple of hours. 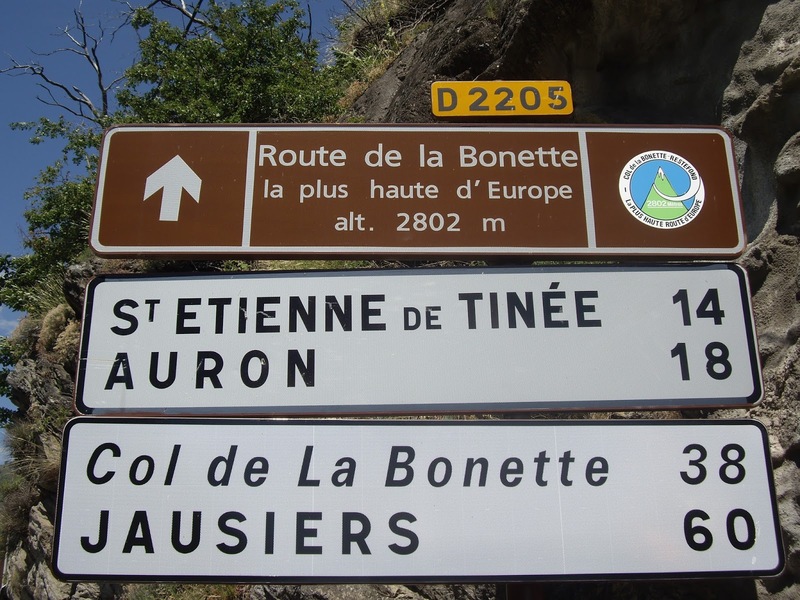 I’d played my part, and the Cime de la Bonette did the rest. It was a stinker! The Cime de la Bonette's summit, with its additional 80 metres of landfill. The distance and gradient seemed easy enough on paper but it didn’t play out that way on the vélo. 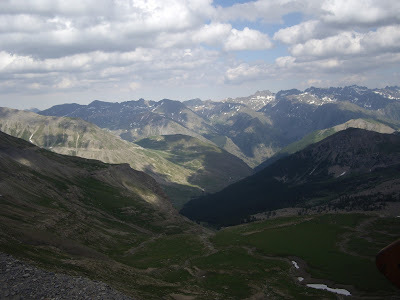 Like most of the big climbs, it is one of those mountains that increases in severity the closer you get to the top. Its height also makes you much more prone to the elements, including strong winds and, by all accounts, diminishing oxygen. 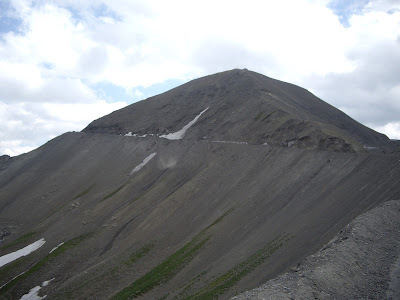 Cime de la Bonette is not only the highest mountain I’ve ever climbed; it is also the most difficult. I found it even more arduous than Angliru. Having reached all but the last few hundred metres, I simply couldn’t stay on the bike. The strong buffeting wind led me where it wanted and there was no barricade offering protection from the barren vertical slope. Unable to control the bike, even at such a slow speed, I tried walking a few metres in search of some protection from the wind, but to no avail. It was a major let-down to climb almost to the very top and not be able to stay on the saddle. 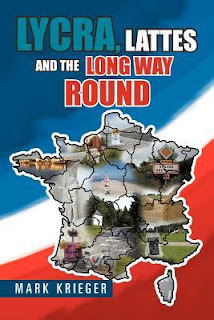 The story goes that the French weren’t content with having the second-highest road mountain pass in Europe so they added an additional 80 metres of landfill to make it what they thought was the highest. Whether or not it is is a matter of conjecture. 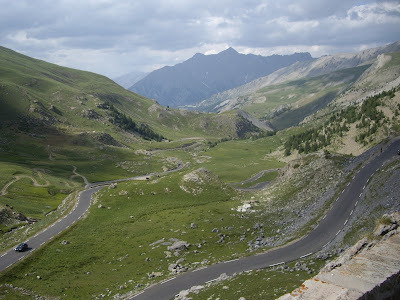 To me, it’s simply a bloody dangerous circular road, with as much as a 16% gradient, that ends back where it starts, at the mountain road to Jausiers. All I can say is, “Bravo” to all those riders who have made it to the very top. For me, just getting to the summit, on the back of the bike and finally on foot, was a wonderful moment, again one I’ll never forget. Views down the other side, towards Jausiers.